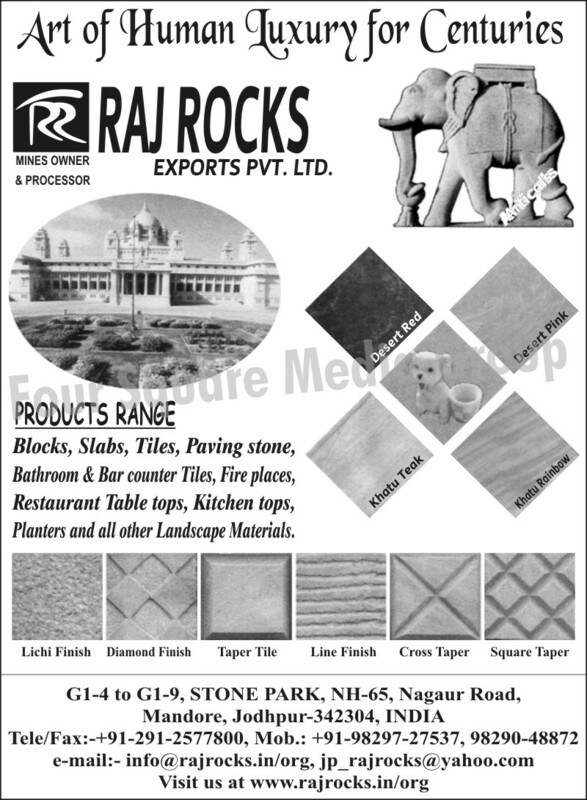 Raj Rocks Exports P. Ltd. Blocks, Slabs, Tiles, Paving Stones, Bathroom Tiles, Bar Counter Tiles, Restaurant Table Tops, Kitchen Tops, Landscape Materials as an active Manufacturer, Supplier, Dealer, Distributor, Trader and Seller etc. (*Importer/Exporter/Service Provider).